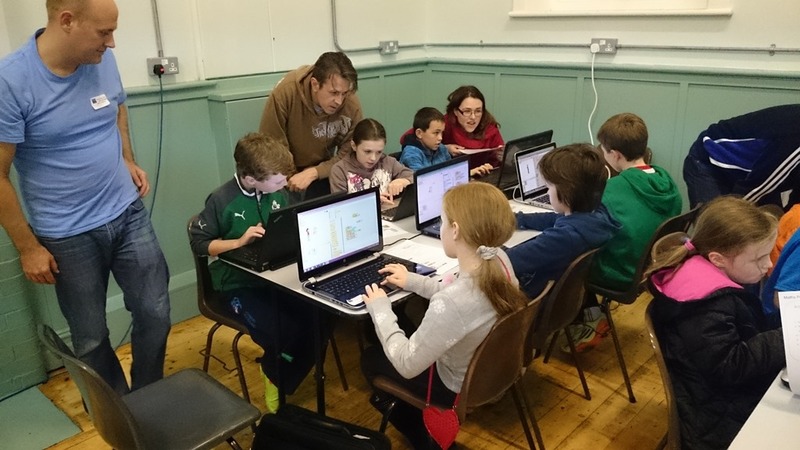 Once a month, Skerries CoderDojo meet for a free coding club. 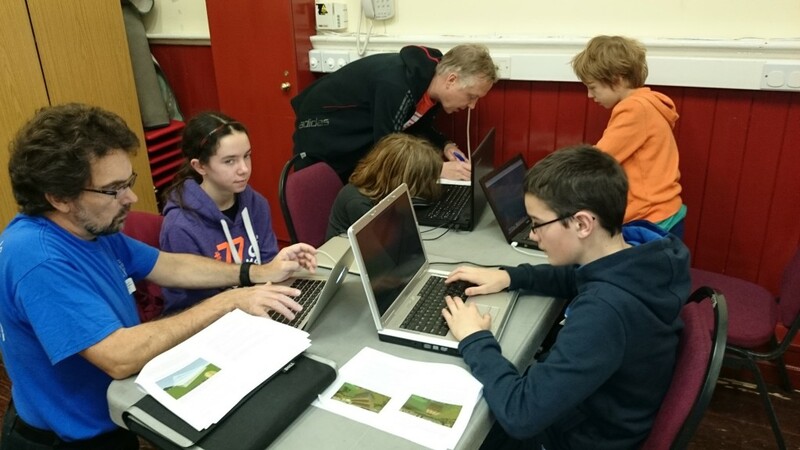 At the December Dojo, conveniently moved forwards to the 30th of November as not to clutter up the Christmas Period too much, more than 60 Ninjas were mentored by a dozen programmers, web designers, and other volunteers with a techie background. Add to that half a dozen helpers / organisers and many parents (those of under-12s stay on the premises), and you can imagine the buzz in our Old Schoolhouse! 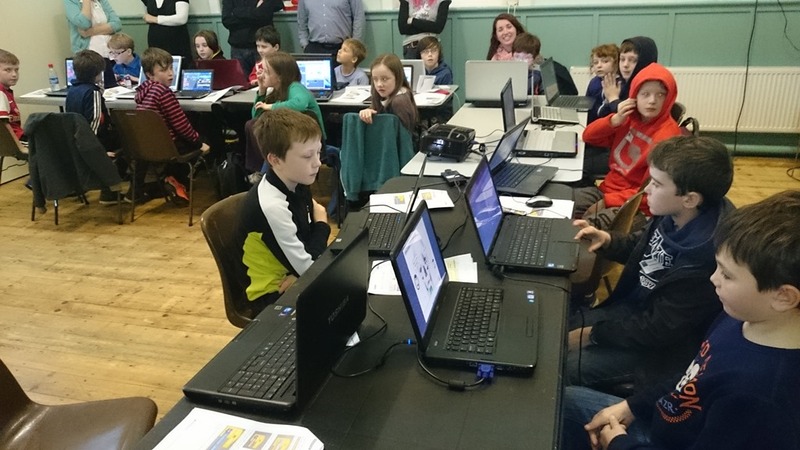 Skerries CoderDojo is a committee of the Skerries Community Association. 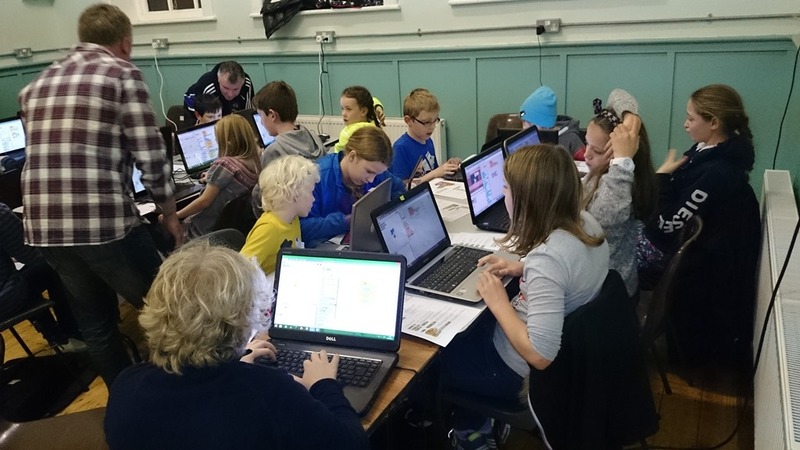 Find out more here – if you’re interested in our January Dojo (11 Jan 2015) or in volunteering with us, please send an email to Sabine at coderdojo@skerriesca.com! 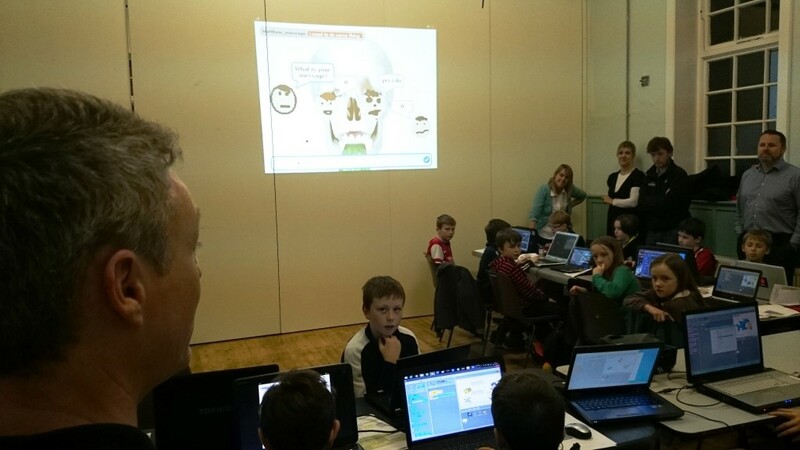 Getting to grips with Scratch – some of the first-time Ninjas, a mentor and some parents. Some first-timers and some Experienced Beginners. Huge group this time! 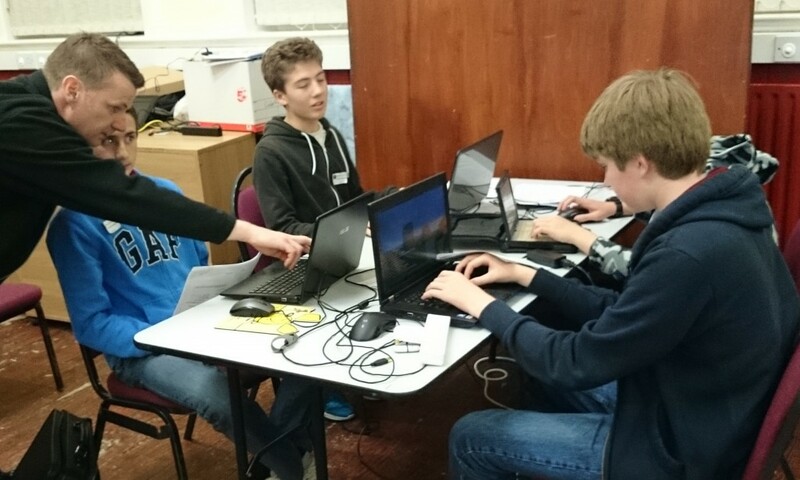 The Intermediate Group set up mini-networks using Scratch, creating their own chat rooms. The things you can do!